While many were still debating whether the leaflet handed to Ukrainian Jews leaving Passover services telling them they had to register was real or a hoax another, more dangerous incident happened. 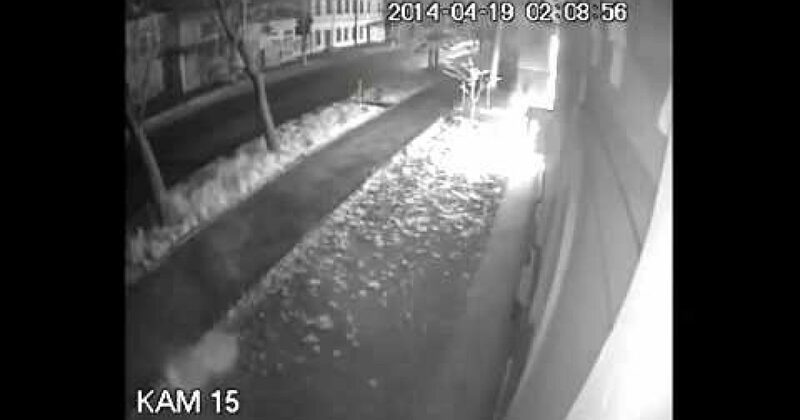 In the Ukrainian city of Nikolaev, at At 2:00 am Friday night the main Synagogue was attacked by firebombs. Thank God the shul was empty at the time. One firebomb was thrown at the door and the other was thrown at a window. The attack was caught on the shul’s CCTV system, and posted online by Yisroel Gotlieb, the son of the city’s Chief Rabbi Sholom Gotlieb., who added that miraculously a person passing by the shul was equipped with a fire extinguisher, and immediately put out the fire that had erupted, preventing massive damage.